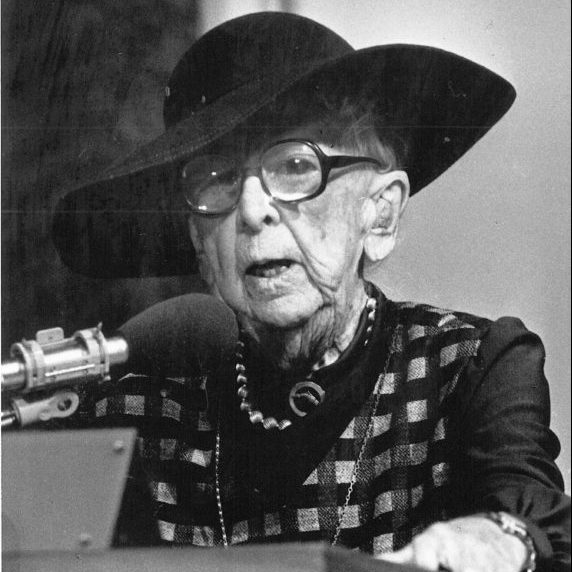 Marjory Stoneman Douglas, Known worldwide as an early environmentalist, she is recognized for her advocacy of Florida’s unique Everglades. A Massachusetts native, she graduated from Wellesley College in 1912 and moved to Miami in 1915 with her father, who published the newspaper that became the Miami Herald. In World War I, she was one of the first women sworn into the U.S. Navy. She wrote for the Herald upon her return, and during the next decades, used Florida themes for national magazine articles. She also wrote three novels, a history, and other works, including poetry. Her 1947 non-fiction work, The Everglades: River of Grass, became a classic. In her eighties, Douglas headed the University of Miami Press, and in her nineties, wrote her autobiography and founded Friends of the Everglades. MS. magazine chose Douglas as a woman of the year for 1988, and she was honored on her 100th birthday in ceremonies in Florida. She was awarded the Presidential Medal of Freedom by President Clinton in 1993.